we donated our Father’s large record collection in 2004. 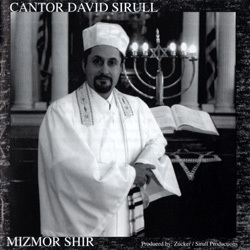 Included was Al Jolsen singing Kol Nidre. I found the page on the website, but nothing to click on to listen – 502045-A. Is this recording available to hear? Al Jolson’s Decca recording of Kol Nidre was produced in 1947 and is, therefore, under copyright protection. The Judaica Sound Archives at FAU Libraries makes available all of its digitized recordings that were produced prior to 1924 (public domain) and also those for which the copyright owner has given permission.